Easter wouldn’t be the same without Peeps! Growing up, did the Easter Bunny leave you Peeps in your basket every year? I always had some in mine. 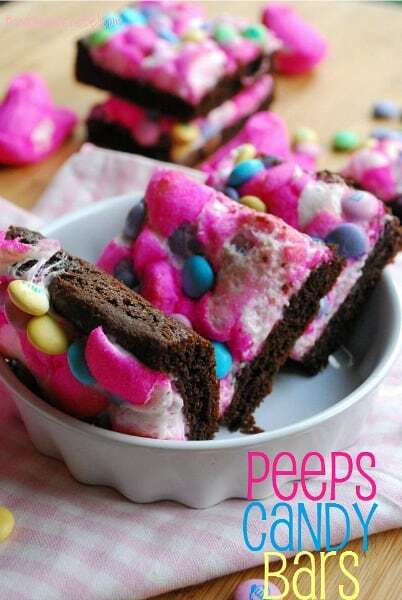 Did you know that there are loads of creative ideas for Easter Peeps Desserts? The possibilities are really endless! 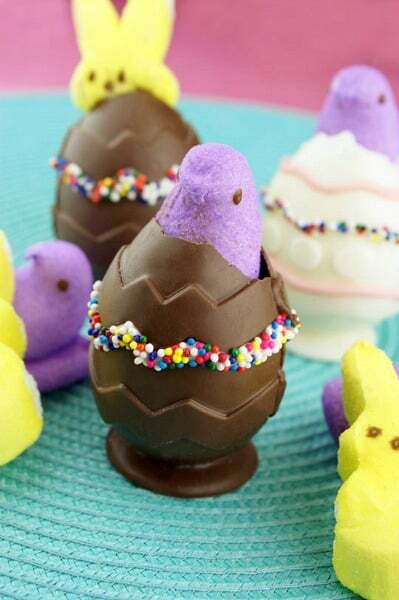 I’ve gathered a creative collection of Peeps Desserts ideas and now I’m craving some! To view the full details on any of these ideas, simply click on the title of the dessert. 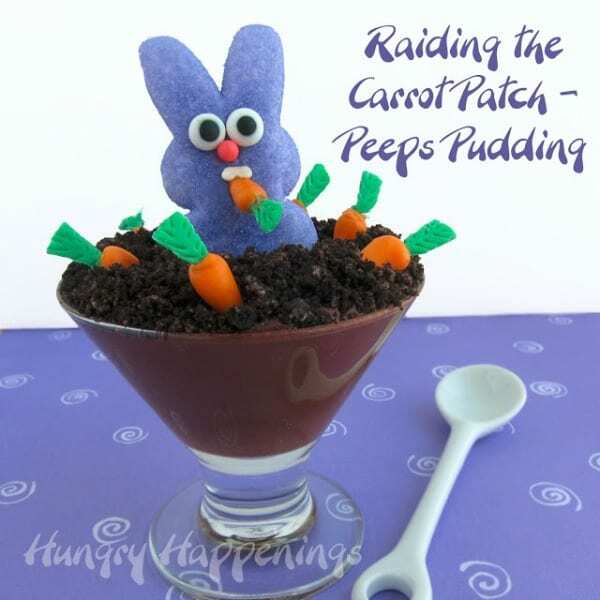 I absolutely love these Peeps Carrot Patch Puddings (pictured above) by Hungry Happenings. Check out his eyeballs and teeth! Oh my gosh, this is so clever and I’m going to have to try something like this myself! These Peeps Candy Bars by The Domestic Rebel look so delicious! Peeps, brownies and M&M’s…yes please! 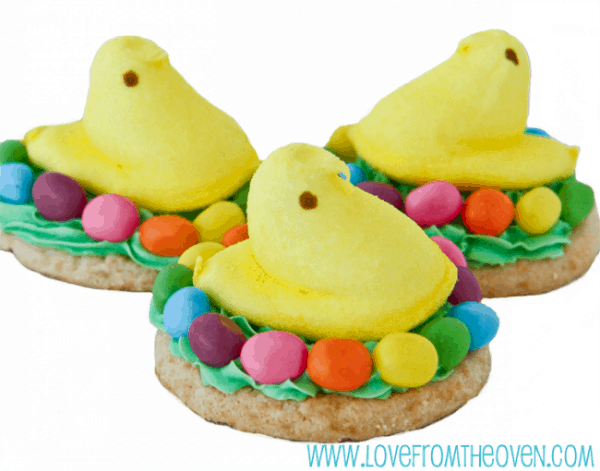 How clever are these Peeps Peek-A-Boo cookies by In Katrina’s Kitchen?! 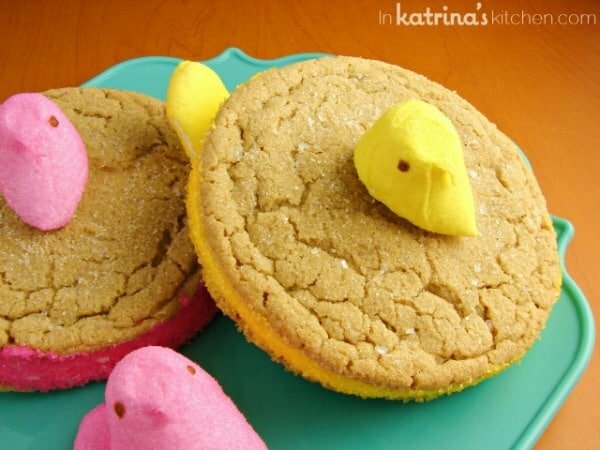 Don’t worry, no Peeps were harmed in the making of these cookies! These Peeping Peeps by Miss CandiQuik are so clever! Who wouldn’t want to bit into a chocolate egg to find Peeps inside! 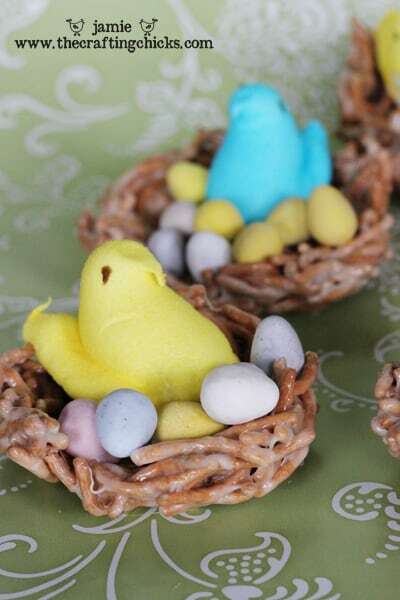 These Peeps in Nests by The Crafting Chicks would be adorable on an Easter sweets buffet table! 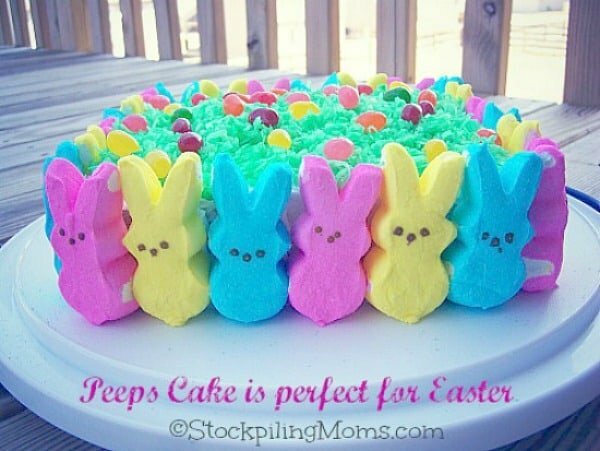 This Easter Peeps Cake by Stockpiling Moms caught the attention of my virtual assistant and she made one this weekend with her family. 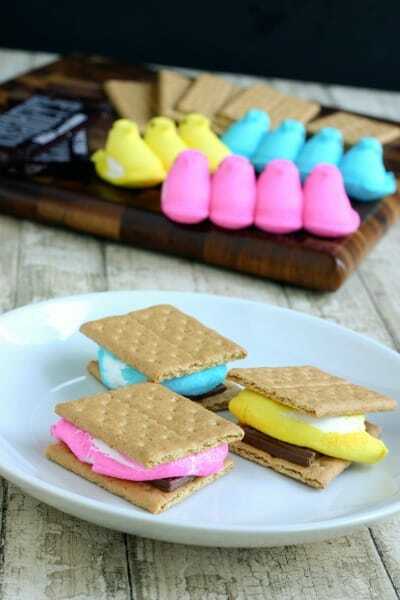 These Easy Peeps S’Mores by Eclectic Recipes look absolutely delicious! Be careful when putting marshmallows in the microwave though because they expand very quickly when heated. Yes, I’m speaking from experience here after cleaning up a few microwave marshmallow messes myself! Easter is a special occasion worth getting dressed up for, right? It’s even true for the Peeps! 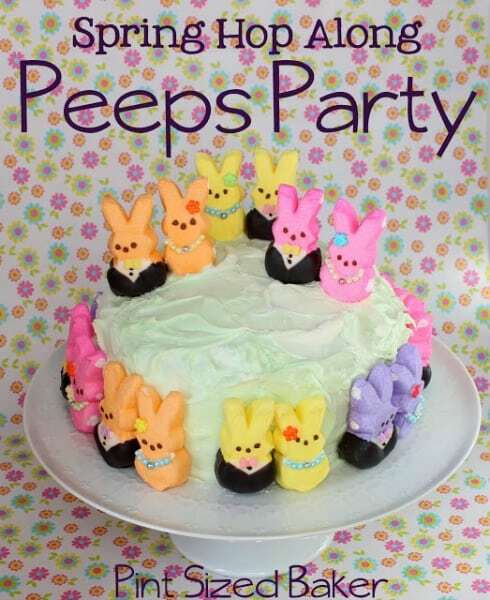 Check out this Easter cake with Peeps dressed up in their finest by Pint Sized Baker! These Peeps Cookies by Love From The Oven are really cute and I bet your kids would love to help with these ones. For more fun & delicious Easter ideas, visit our Easter Activities page. We’re always adding new & fun ideas to enjoy with your family. Never miss a creative update by following us on Facebook, Twitter, Pinterest, Google + and Bloglovin’. Love all the ideas! Hayley’s Peeps Bars look awesome! Thanks for sharing! Peeps are so fun to bake with!